Best Chili Recipe That's Healthy and Good for Your Waistline! 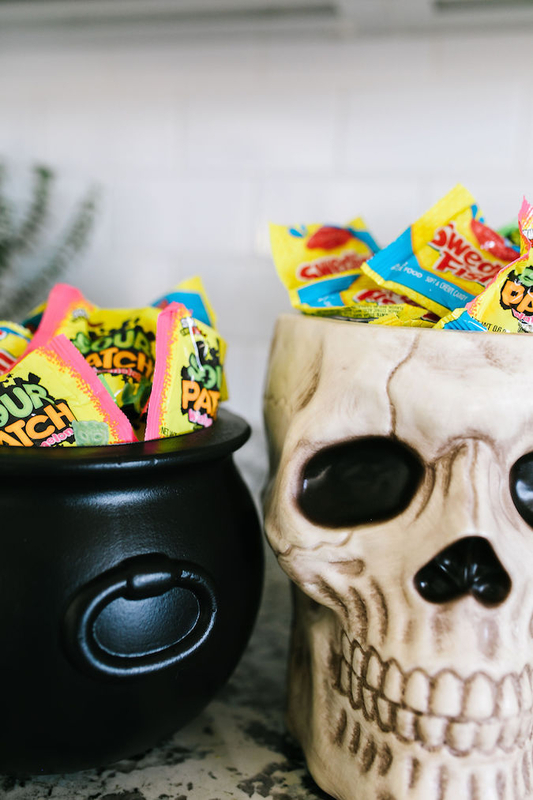 I love Halloween because it’s whimsical and fun, and it’s the one day of the year that everyone dresses up and feels like a little kid again. 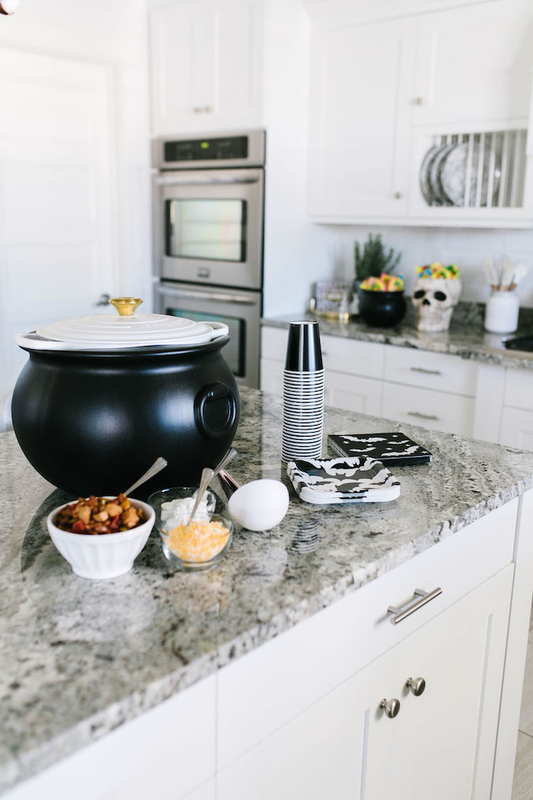 I’m sharing my favorite healthy chili recipe below and how I’m serving it up on Halloween with fun items from Walmart! I have always been a big Halloween fan. When the calendar says “October 1st,” I immediately get giddy knowing what’s ahead! 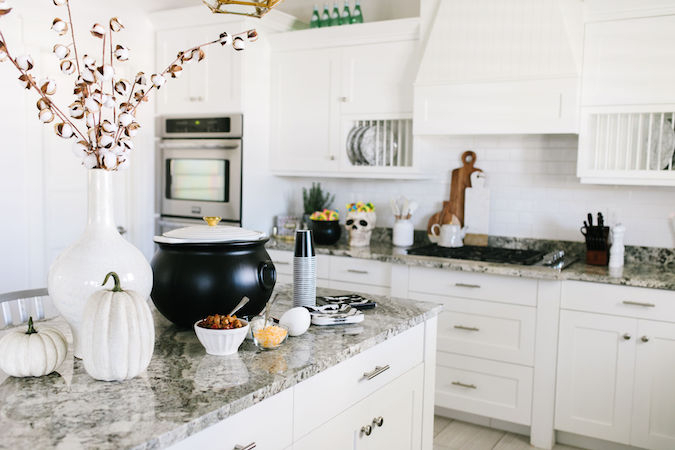 For years, I have shopped at Walmart for decorations and food for Halloween because they have an incredible selection and all off their items are very affordable. Check out their Halloween shop here! 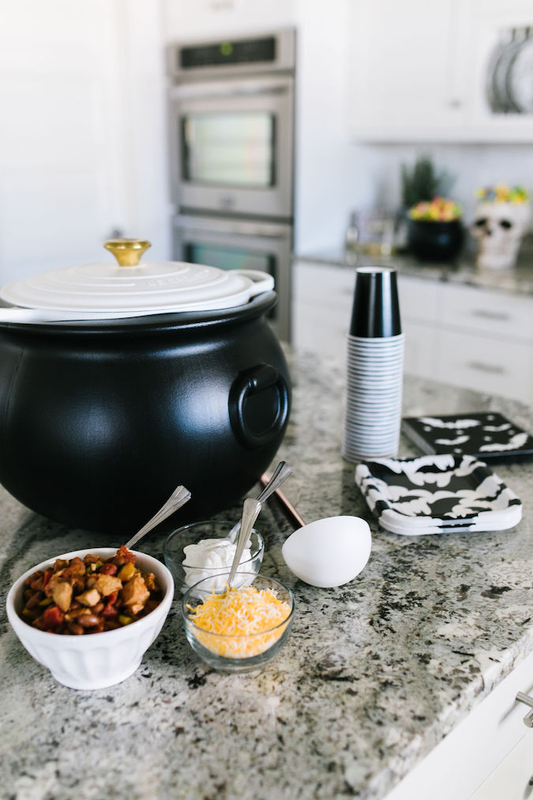 I picked up some great Halloween-themed pieces to show you how I’m going to serve my healthy chili recipe (below) on Halloween before we go out to trick-or-treat. 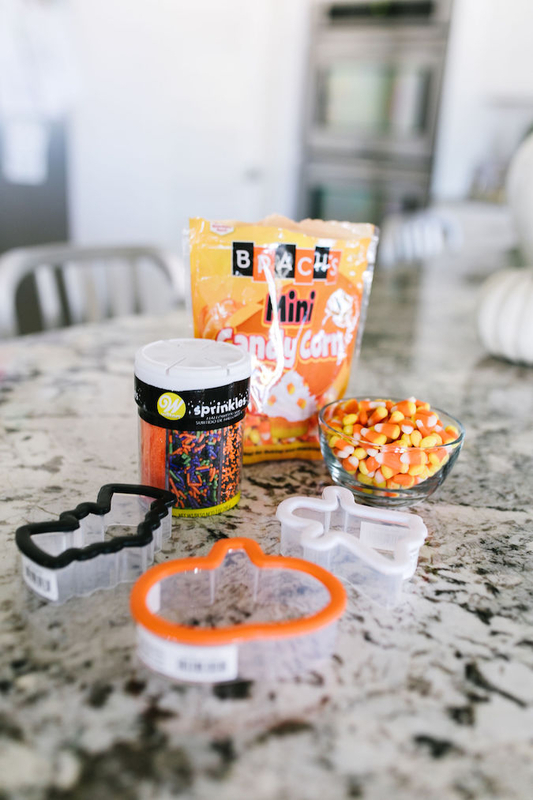 I love making sugar cookies on Halloween, so I bought some fun cookie cutters like these, and these Halloween sprinkles. 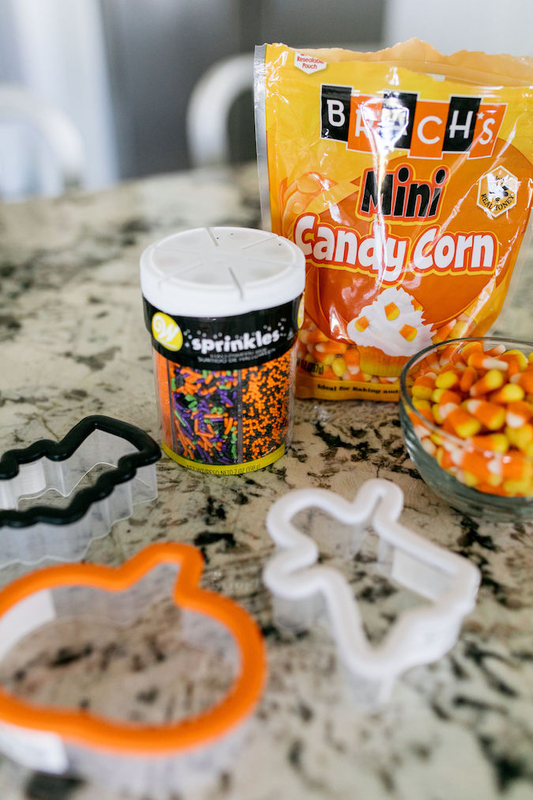 If you follow me on Instagram, you know that I’m obsessed with candy corn. LIKE..OBSESSED. How delighted would little Jenica be as a young trick-or-treater to get these?! 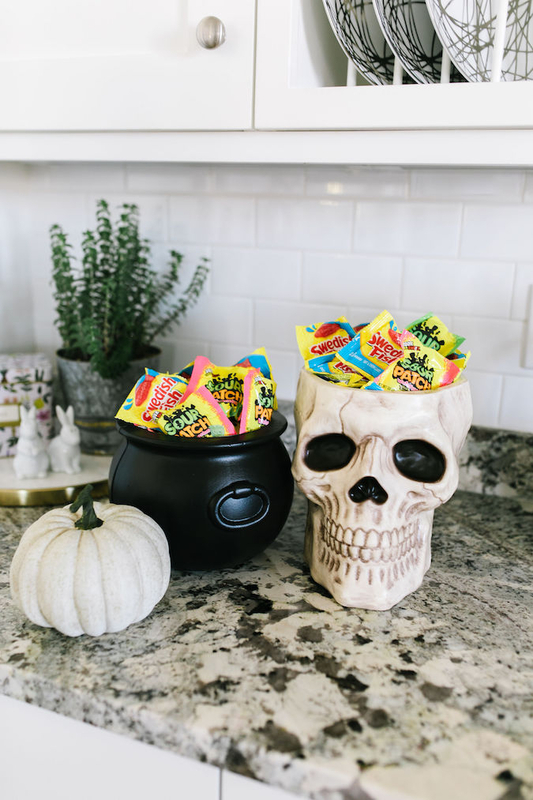 I was literally a kid in a candy store (or more appropriately, a Jenica in a candy story because I like candy even more now as an adult I think…) when I was decorating for Halloween. Tag me in any pictures you take so I can see what fun Halloween ideas you come up with! 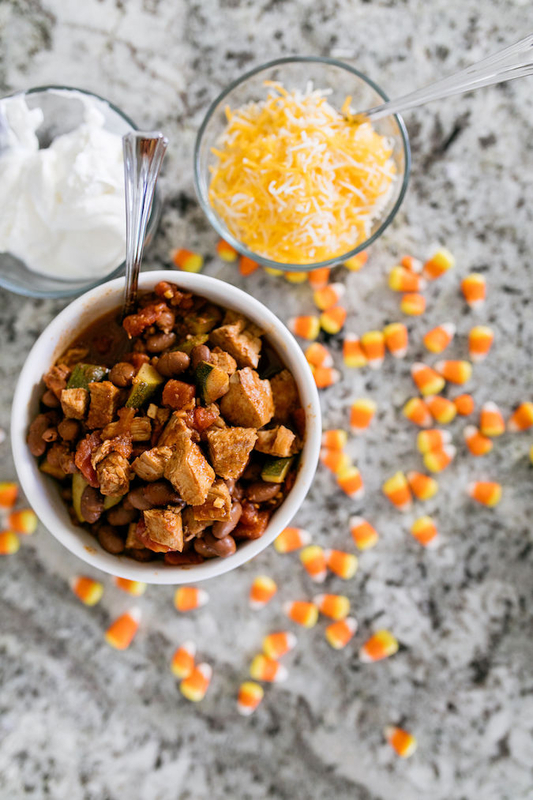 Oh, and since I eat so much candy, I figured I would create a healthy chili recipe so that I could fit in more calories in the treat department. Don’t pretend that’s not a genius idea. 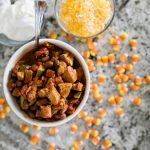 This chili recipe is genuinely so delicious and tastes like it has a lot more calories than it does, which is always my favorite kind of food. 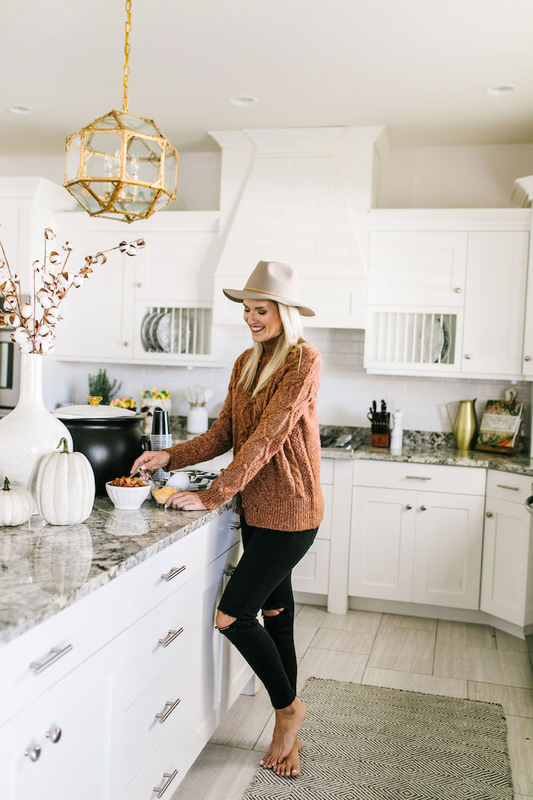 The most delicious, healthy chili I know how to make! It's really simple and fast to throw together on a day when you need a quick dinner, but also impressive enough that it tastes like you cooked it all day! Place oil in a large pot and place over medium high heat. Add in onion, garlic and zucchini and saute for 5-7 minutes, stirring frequently. 2. Next, add in turkey, cumin, chili powder, oregano, cayenne pepper and salt; stir for about 20 seconds to incorporate. 3. Next, add in tomatoes, chicken broth, and pinto beans. Bring to a boil, then reduce heat and simmer for 30-45 minutes or until chili thickens and flavors come together. Taste and adjust seasonings and salt as necessary. Garnish with anything you would like! Makes 6 servings, about 1 1/2 cups each. To make this recipe in the slow cooker: Reduce the chicken broth to 1/2 cup brown the onions before adding to the slow cooker. This post is sponsored by Walmart, a store that I love and shop at regularly!